(Al Hartmann | The Salt Lake Tribune) View from the south looking north of the old Cottonwood Mall site near 4800 S. Highland Drive in Holladay on Tuesday March 13, 2018. In moves Holladay officials hoped would resolve community conflict over the former Cottonwood Mall site, city leaders have voted to schedule a special election for November. At the same time, the city has notified a community group that its 8,000-signature petition seeking a vote on the issue is ineligible for a spot on the ballot. So will there be a special election? That, it appears, will be up to a judge. 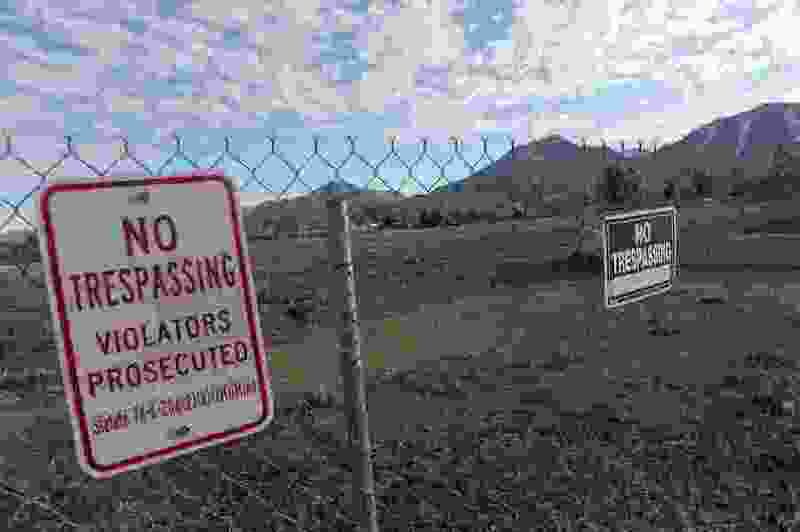 Holladay officials have argued for months that the city’s decisions in approving a high-density, $560 million mixed-use development at the vacant field that was once a mall have been administrative and not legislative, which the city interprets to mean they can’t be challenged through a grass-roots initiative process. This way, Dahle said, if the city’s legal decision rejecting the Unite for Holladay petition were overturned in court, Holladay officials would be ready for a vote on the controversy at the city’s soonest opportunity. The City Council had until Aug. 22 to schedule the special election, which is now set for Nov. 6. Developers with Ivory Homes and Woodbury Corp. have been working for years to turn the former Cottonwood Mall location into “Holladay Quarter,” envisioned as a complex of retail outlets, eateries and offices blended with 775 apartments and 210 single-family homes. After nearly seven months of negotiations, the council gave its final approval to a master plan in May. Opponents say the project is too dense for Holladay and threatens to snarl traffic. They remain critical of how city officials have handled decisions related to land use and taxes. Dahle said he had no doubt the signature requirements had indeed been met but noted the city’s rejection was made on legal grounds, which the city has been told Unite For Holladay is planning to take to court. “And we’re OK with that,” Dahle said.